What’s the difference between the packages for the Nursing Assistant Exam Prep Class? The basic package is $529. That includes the class fee, the book, and the exam fee. This is the minimum package. The “Super Package” is $599. That includes the class fee, the book, the exam fee, CPR, First Aid, a blood pressure cuff, and a stethoscope. The “Super-Super Package” is $899. That includes the class fee, the book, the exam fee, CPR, First Aid, HIV, the Home Health Aide Class, all your in-service hours, a blood pressure cuff, and a stethoscope. This package is not available in Destin or Pensacola. Do I need to buy anything for the class? No, we provide everything. You may want to bring something to take notes with, like a notebook and pen, but that’s your option. What do I wear for the class? You must wear closed-toed shoes and scrubs every day. What does CNA stand for and what do they do? CNA is certified nursing assistant or certified nurse aide. They work in nursing homes, hospitals and home health settings. A CNA’s basic duties usually involve activities of daily living, or ADLs. Helping a person get dressed, eat, brush teeth are some (but not all) examples of ADLS. I have a CNA in another state. Can I transfer it to Florida? It depends, but the answer is usually yes. Call the Board of Nursing at 850-245-4567 for information on this. Your license or certificate must still be valid in the other state in order to transfer. I’d like to get my CNA with Express Training, but plan on moving to another state. Will it transfer? It depends, but the answer is usually yes. You would have to call the Board of Nursing from the new state to find out. I plan on going to nursing school. Will this class help me? 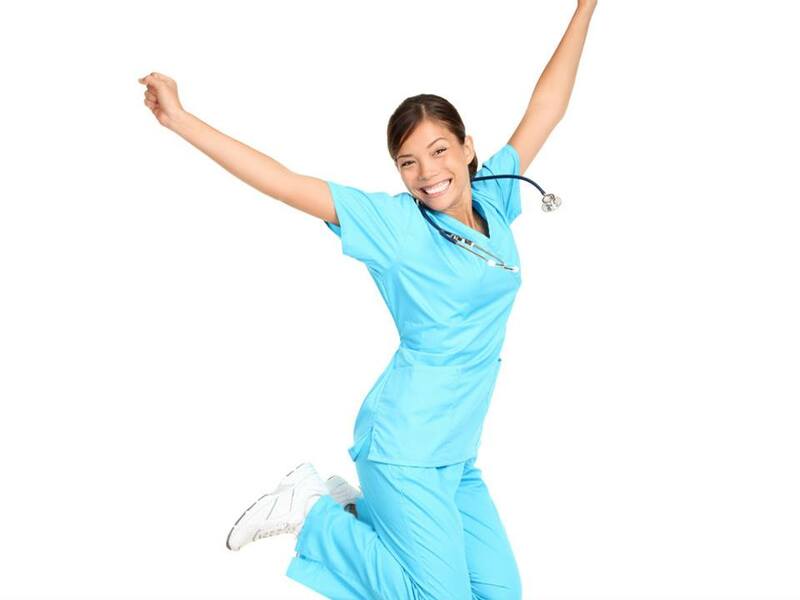 Having experience as a CNA or as any health care worker is always a plus before starting nursing school. For most nursing schools, having a valid CNA certificate will give you additional points to gain admittance. Each nursing school is different though, and you should do research before taking an Express Training class. How long are the CNA classes? For the exam prep class, there are 3 ways you can take it. There’s a 1-week class which goes M-F, 8 am-4 pm each day. There’s a 2-week class which is M-Th, 5 pm-10 pm each night. Finally, there is a weekend class which is 4 Saturdays in a row, 8 am-4 pm each day. For the 120-hour Training Program, the class times vary. Check the schedule or call for more information. What’s the difference between the exam prep class and the 120-hour training program? The exam prep class is a lot shorter and you end up with the same exact certificate. Are there any other fees I need to pay? You have to pay for a background check. It costs about $80 and we’ll tell you how to do it. Don’t get one done without contacting us first as you may do the wrong one and have to pay again. Do I need CPR to get my CNA certificate? No, believe it or not. You can get your certificate just by passing the state exam and a background screen. However, you will never get a job as a CNA without CPR. So if you don’t take it with us, take it somewhere so you can be employed. For any class, a non-refundable deposit will hold a seat, with the rest of the money due the first day of class. For CNA, Home Health Aide, and Pharmacy Tech, the deposit is $100. For the Phlebotomy, and EKG the deposit is $50. I put a deposit down for a class, and I can’t make it. What happens to my deposit? If you have a documentable reason for not making the class, mail it, fax it or bring it in and we’ll reschedule you at no charge. If not, you lose your deposit. Please read the refund policy on each application before signing up for a class. When do I take my state exam? We don’t know that answer. We submit your application to the state testing company, and they assign the dates. It is usually 3-4 weeks after your class, but can be longer. Where do I take my state exam? You will take your state exam at the same place you take your class, except in Ocala. In Ocala, you usually take it in Gainesville. You can take your exam at a different location if it is closer to you; it’s your option. Can I come in and practice after my class and before my exam? Yes, we want you to do so. Just talk to your instructor about times. Yes, you can miss 1 class. It is a terrible idea to do that though, and if you plan on missing a class, you shouldn’t enroll. The class starts at 8 am. Can I get there 15 minutes late? No. If you are late 3 times, you will be removed from the class and not allowed to return. If you plan on being later, do not take the class. What are the requirements to sign up for the CNA class? Most importantly, you must have the $100 non-refundable deposit. Additionally, you need to have a social security number and 2 valid signature IDs. One of the IDs must have your picture (driver’s license works best, but there are other options too). Finally, you need to have no background issues. Call the Board of Nursing at 850-245-4567 if you have questions about your background. I got in trouble a while back. Will this prevent me from taking the class? No, but you shouldn’t take the class if you are not going to be able to get your certification. Call the Board of Nursing at 850-245-4567 before you enroll with us. How long does CNA certification last? It expires every 2 years, but can be renewed fairly easily. We’ll teach you how to do that in the class. We’ll tell you where to look, but officially there is no job placement. No, and never for the short classes. A class must be 300 hours to be eligible for federal financial aid. What is a Weekend Warrior Class? It’s designed for those currently in college, though no one is barred from taking the class. There are two days of learning the practical part of the exam, and the theory part is covered via an online portion. This is an extremely high-paced class. What kind of CPR do you offer? It’s called BLS for Health Care Providers through the American Heart Association. This is the class you need for any entry level health care job and for virtually any other job or school requirement as well. The cost is $55. Is First Aid included with CPR? They are 2 separate classes, with 2 separate fees, but you can take both on the same day. The First Aid class is an additional $40. What happens if I’m late for a CPR or First Aid class? If you are later, even by 1 minute, without a documentable excuse, you lose your money and must pay to take the class again. If you do have a documentable excuse, you will be rescheduled for the next class. What is a “BLS” Class? BLS stands for Basic Life Support. It’s the same thing as CPR. I lost my CPR and/or First Aid card? How do I get a replacement? We do E-Cards so you will never lose it. You can check the email you registered with. Will I be certified after the 8-hour workshop? No. You will receive a certificate of completion only. If you want to be certified, take the 80-hour class. What’s the difference between the 8-hour workshop and the 80-hour exam prep class? The 8-hour workshop is designed as an intro to phlebotomy. You do get live sticks and learn some of the theory, but it’s only 8 hours. You will not be certified after this workshop. The 80-hour class ends in you taking a nationally accredited exam through NHA. If you pass, you will be nationally certified, and can qualify for almost any phlebotomy position. In the 80-hour class you will get a minimum of 25 venipunctures and 10 capillary sticks. Can I find a job with this? The goal of the 8-hour workshop is not to gain employment. It’s just for knowledge and in-service hours. However, many of the past students have found jobs with this workshop. 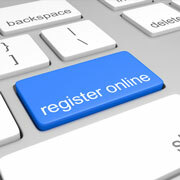 With the 80-hour class, you will be nationally certified, so yes you will be able to find a job. Do we get any live sticks during the 8-hour workshop? Absolutely, you get several. It’s only 8 hours, so you won’t get a lot. Who do we practice on? There’s a fake arm (his name is Armando). You also get to stick fellow students. I don’t want anyone touching me. Do I have to get stuck? In the 8-hour workshop, not if you don’t want to. Just remember though, if no one wants to get stuck, no one will get live sticks. In the 80-hour class, you will get stuck, and get to stick others. Do I have to have a medical background to take this workshop? Yes. Call us if you don’t understand this requirement, or to see if you qualify. What are the requirements for this class? You must have taken Express Training’s CNA class first. There are no exceptions. You also have to have valid CPR certification or show proof of enrollment in a CPR class. You also need to provide proof of a high school diploma or a GED. What’s the difference between a HHA and a CNA? They really do the same work, so not that much. An HHA has a lot more responsibility though as there is no one standing over him/her and they work alone. Certain home health agencies require a HHA certificate for employment, while others will hire people with just a CNA. Does a HHA certificate expire? Yes. We’ll tell you where to look and help you find a job, as long as you help us help you. No. You will receive a certificate of completion only. The goal of the workshop is not to gain employment. It’s just for knowledge and in-service hours. It’s very hard to find a job just doing EKG. You usually need some other qualifications, like a CNA. The 61-hour class ends in you taking a nationally accredited exam through NCCT. If you pass, you will be nationally certified, and can qualify for almost any EKG position. A pharmacist oversees the class, and teaches most of the class sessions. A state certified pharmacy technician, with at least 2 years of experience, may teach some of the class sessions. Yes, a lot. It is basically 8th grade math. You do not have to be great in math to do this class. Your instructor will spend extra time reviewing it and even spend one-on-one time with you if you desire. Will you be certified after this class? You will take a national exam from PTCB or NHA. If you pass it, you will be nationally certified. You must also get certified in the state of Florida to work in Florida. Your certificate of completion for the class will enable you to do so. PTCB or NHA, your choice. The PTCB is a much better exam as many other states recognize it. You must pass one of these exams in order to successfully complete the class. According to our policy, you can miss 10% of your class and still be enrolled. But seriously, if you pay $1995 for the program, why would you want to miss a class? Going to class is the single best way you can prepare for the exam. For clinicals, there are completely different rules on attendance. You cannot miss ANY of your clinical hours. Emergencies do come up, and it is often possible to make up the clinical hours. If they are not made up, you will be dropped from the program. The class starts at 5 pm. Can I get there 15 minutes late? Not currently. We are working very hard on the process though. Keep checking back. Is there any information about the class? Look under the “Classes” page. There are pages of info there. It can be a bit confusing, so call after you’ve read everything and we can fill in the pieces. 352-338-1193. It’s 1,446 hours, and is spread over about a year. The classes are in Gainesville only and currently are only on weekdays during the day. Will you be licensed after this class? You will take an exam called the NCLEX. If you pass it, you will be state licensed. You must complete the program, pay for the exam and pass it before you can become licensed. It’s 1,324 hours, and is spread over about a year. The classes are in Gainesville only and currently are only on weekdays during the day. You must complete a lot of pre-requisites before applying though. You will take an exam called the NCLEX. If you pass it, you will be state certified. You must complete the program, pay for the exam and pass it before you can become licensed. Not currently. We are working very hard on the process though. Keep checking back. When we are able to take financial aid, it will only be for classes 300 hours or more. So you don’t take financial aid? How am I supposed to pay for my class? Lots of ways, potentially. You can click on the “Financial Assistance” tab for some ideas. There also may be in-house loans. Contact Tony at tony@expresstrainingservices.com for options on an in-house loan.